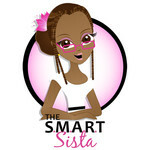 SMART Sista L3C hasn't added a story. Thousands have been forced to evacuate the chaos wreaked by Hurricane Harvey. Many unable to evacuate have been trapped in the chaos awaiting rescue and once rescued, separated from friends and family and in need of basic necessities. Although downgraded to a tropical storm, the waters still rising leaving and this community needs our help. This campaign is made up of community members who felt called to get in action to bring love, light, and resources to those affected by Hurricane Harvey. Our goal is to take a 20ft U-HAUL ( or bigger) full of Goodies from the SMART Sista Family to Houston and other affected areas. While the collection of physical items is complete, you may still make a monetary contribution. Who Will Receive Our Donations? 9/22/17 - Our community partner is Parents Against Predators! They are an on the ground community organization helping families from the East Side of Houston recover. What Will any Monetary Donations Be Used for? Cash contributions will used for boxes & bins (for sorting contributions), gas, truck rental, and to purchase items from the needs list. SMART Sista L3C hasn't posted any updates yet. SMART Sista L3C is managing the funds for this campaign.